Based and abuttet to the HowTo - The Perfect Setup Debian Sarge (3.1) - of Falko Timme I wrote this HowTo for STRATO-Server, because Strato has some specifics in it´s Debian Sarge (3.1) - Image. At the recent KDE Four Core meeting Aaron Seigo interviewed a number of the developers. You can hear them now on the new KDE://radio site. With it's retro interface and fast paced gameplay Endgame Singularity offers up a seriously interesting take on "hacker" simulation gaming. Instead of playing a human intruding on systems you take on the role of an A.I. that has just gained sentience. Your goal is to stay alive by avoiding detection while furthering your research to escape from a hostile earth. We tested SLES 10 by installing it on a twin Xeon server system fitted with 3.6GHz processors and 4GB or RAM. 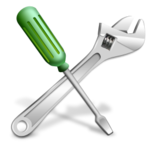 The Suse setup tool detected our server's LSI SCSI controller and the pre-existing installation of Windows. Smart Package Manager study cases: inconclusive! Smart PM is advocated by a lot of people for using it instead of APT, YUM, YaST2, or whatever else. I tried it once and it worked well. However, I was not impressed that much. Besides, where's the proof it actually performs better? Many governments and organisations are moving towards open standards and frameworks. To assist users in understanding open standards the International Open Source Network (IOSN) has released FOSS: Open Standards, the latest in its series of "e-Primer" books. Utah's SCO Group is appealing a federal magistrate's gutting of its $5 billion lawsuit against IBM, hoping to salvage the tens of millions of dollars it has spent litigating the case over the past three years. I’ve been using linux for at least four years now, and I’ve tried out most of the top distributions available. This guide is for noobs to decide which distribution of linux to use. Despite being on record as disliking public speaking, Mark Shuttleworth was in Dublin last month to give the keynote speech at this year's ApacheCon Europe. His theme was the future direction of open source software (OSS), and the issues developers should focus on to ensure the OSS movement’s continued success. I'm overwhelmed. This is the book I wanted when I started learning about Unix. OK, Linux didn't exist then, but if it had existed, and if I were sticking my toes in it, this would have been THE book. We fondly remember Sam Palmisano's promise more than two years ago to have all IBM employees running Linux on their desktops the end of 2005. We weren't surprised that the actual rollout was quietly swept under the carpet and did not occur. What makes open-source developers tick? The newest SUSE Linux Enterprise Desktop, version 10, is so close to being done that you can almost taste it. Novell released the gold master last week to its partners, and the server version, SLES (SUSE Linux Enterprise Server), based on the same code, is also almost ready for release. This is an early review of the new version of SLED 10 (SUSE Linux Enterprise Desktop). The Smart Package Manager hopes to beat the native package management applications for distributions like Red Hat, SUSE, and Debian at their own game. Still in beta, it has support for most major GNU/Linux package and repository formats. Smart introduces many innovative and useful ideas, but its killer feature is the algorithms it uses to select packages and versions. The KOffice team is pleased to announce KOffice version 1.5.2. This is mainly a bugfix release but also contains numerous translation updates. Especially KWord, KSpread and Kexi have received critical bug fixes. VMware has made its server product generally available from Wednesday. The product, previously the paid-for GSX Server, has been free to download in beta form for months but is now cooked according to VMware. After Lotus announced the release of the Lotus Notes 7.0.1 stand-alone client for Linux, IBM Lotus Chief Ed Brill conceded that the reaction was mixed... Which was a modest bit of understatement. Japan's National Institute of Advanced Industrial Science and Technology (ASIT) has just unleashed the latest in a long line of bipedal robots to come out of the R&D labs of this country. HP, Blueloop and Omni partnered to deliver a 12-station Internet café running off two standard HP desktop computers at an international GroupWise conference held in Telford, UK. Like PC-BSD, DesktopBSD provides many features that will allow a complete Unix novice to start using the operating system immediately. 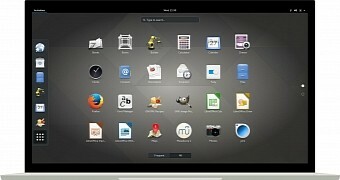 Those already familiar with FreeBSD and the KDE desktop will recognize the tools underlying the GUI conveniences.